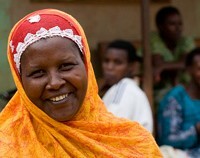 2012 is going to be a great year for innovation, and I’m excited to help launch a new effort that will bring hygiene solutions and dignity to women in developing nations. Millions of girls and women in developing countries miss up to 50 days of school/work per year because they do not have access to affordable sanitary pads when they menstruate. Currently, girls and women in this setting—if they have an option at all—turn to premium priced international brands which are too costly to sustain (e.g., in Rwanda, of the girls who miss school, 36% of them miss because pads are too expensive). Alternatively, they turn to rags which, in combination with a lack of a clean accessible water supply, are unhygienic and potentially harmful, let alone ineffective to contain leakage. InnovationEdge is joining SHE, a forward-thinking organization that cares deeply about this problem. SHE (Sustainable Health Enterprises), is a market-based approach to improve the quality of life for people in developing countries. As we get closer to providing solutions, I’ll report how InnovationEdge is involved in this incredible journey! So why are we doing this? Girls and women are vital to the well-being of their families, communities, and countries and it is important that they have access to education, good health, and jobs. For every dollar a woman earns, she invests 80 cents in her family (as opposed to 30 cents by men). A pivotal study by Goldman Sachs shows that the greater the likelihood for women to work outside the home, the lower the fertility, reduced maternal and child mortality, and better health and education for current and future generations. This, coupled with a Council on Foreign Relations study linking education levels to income earning potential, has driven SHE to do something about this problem! SHE intends to fulfill girls’ and women’s unmet need by helping local women in developing countries jump-start their own businesses to manufacture and distribute affordable, quality, and eco-friendly sanitary pads. SHE will look to use local raw materials, instead of all imported materials, to ensure affordability and accessibility. 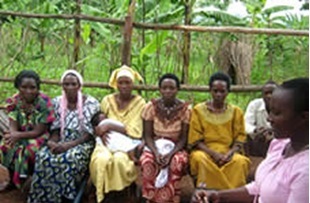 Training local group in necessary business skills and health and hygiene. 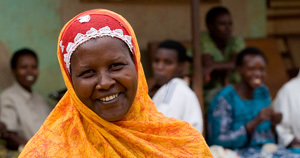 SHE is making quick strides with its first business in Rwanda. SHE looked to Rwanda because of the urgent need for access to low-cost sanitary pads, its well-established networks of women, and additional positive business environmental factors including increasing access to capital. You can learn more about our progress and adventures by following the SHE Innovates blog, or becoming a fan on Facebook.